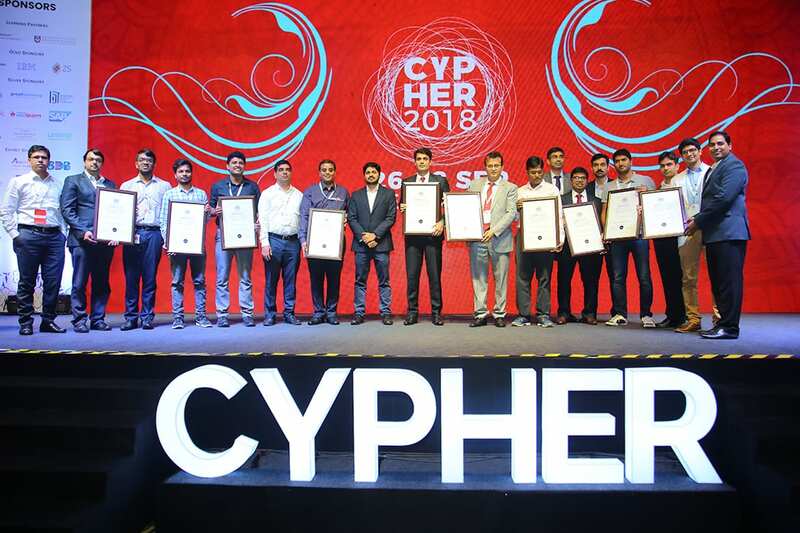 Cypher 2018, which was concluded on 28th September, hosted the third edition of Great Learning Data Science Awards, brought in association with Great Lakes Institute of Management. 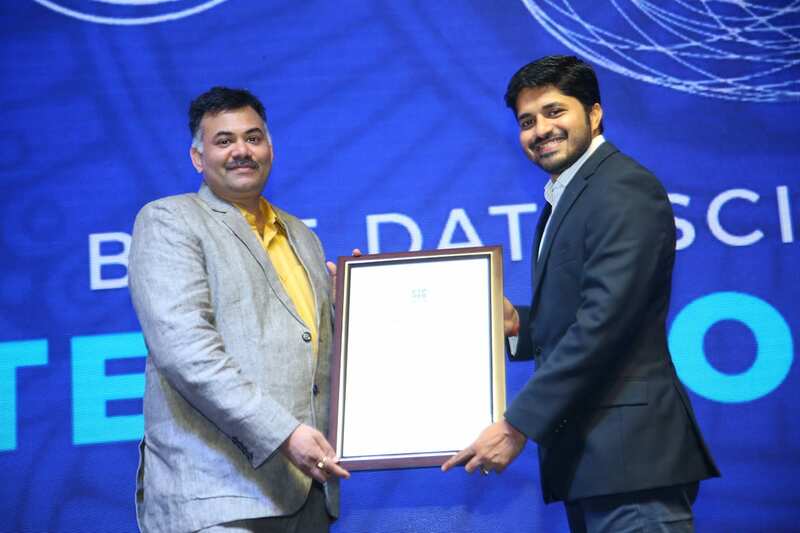 The award was presented to companies and startups in various categories, and recognised the achievers in the analytics and data science space, celebrating their accomplishments. 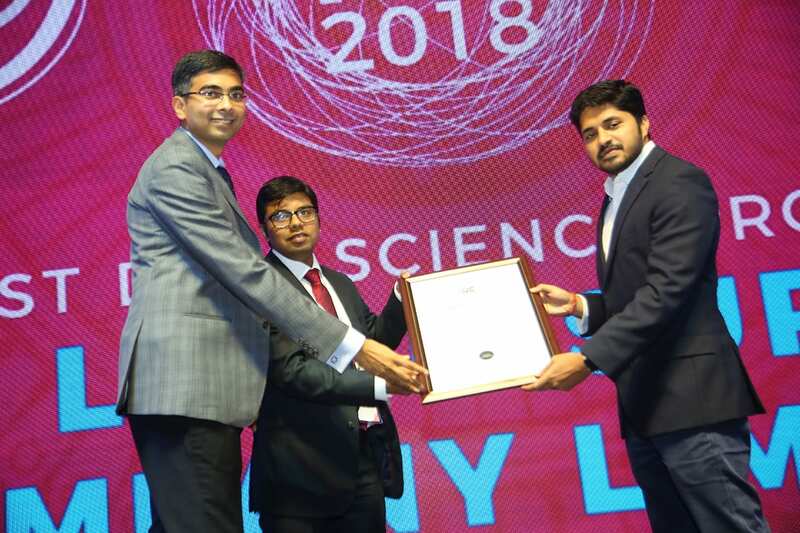 The awards were given under following categories — Best data science project of the year, Best machine learning & artificial intelligence implementation, Data science for social good. 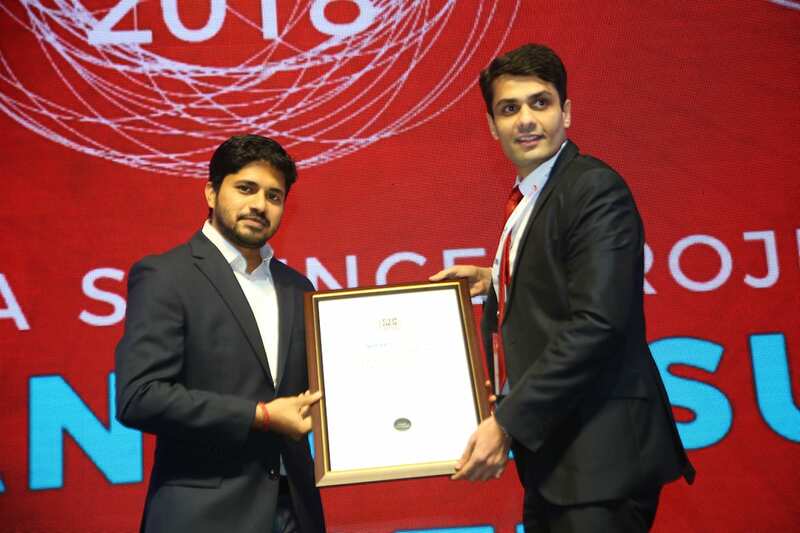 Gramener took away the award for data science for social good, for its platform that offers pre-built products, solutions and custom services to build data applications. 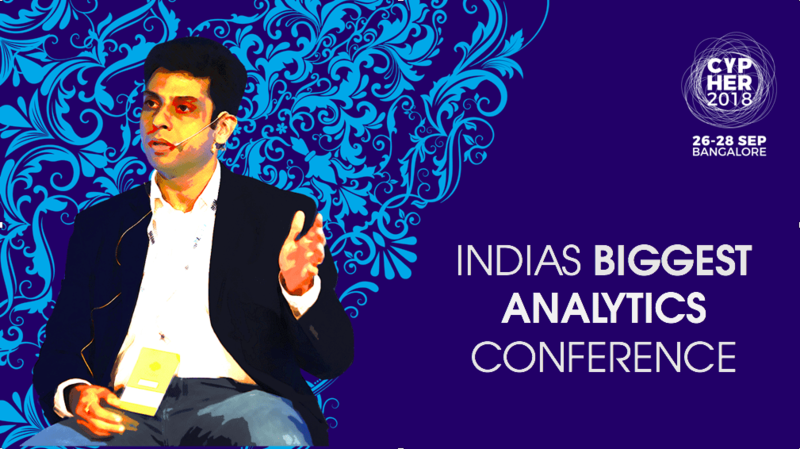 Founded in 2011, the company offers analytics products that can solve real-life problems like HR analytics, media buying, patent analytics, infrastructure, etc. It was founded by S Anand, Naveen Gattu, Mayank Kapur, Ganes Kesari and J Ramachandran. 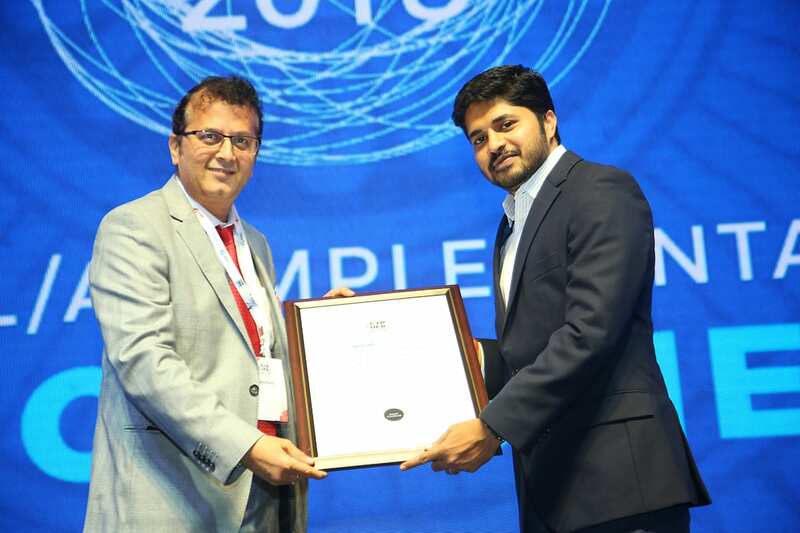 The Best Machine Learning Or Artificial Intelligence Implementation Award was won by three companies —Marlabs, Seven Lakes and TCS Optumera. Marlabs and their digital life-cycle model deliver rapid innovation using prototyping, co-creation, concept-to-completion and rapid deployment. Their innovation lab, Marlabs.next, incubates cutting-edge technologies like Intent-Intelligence, IoT, IoP and Blockchain, among others. 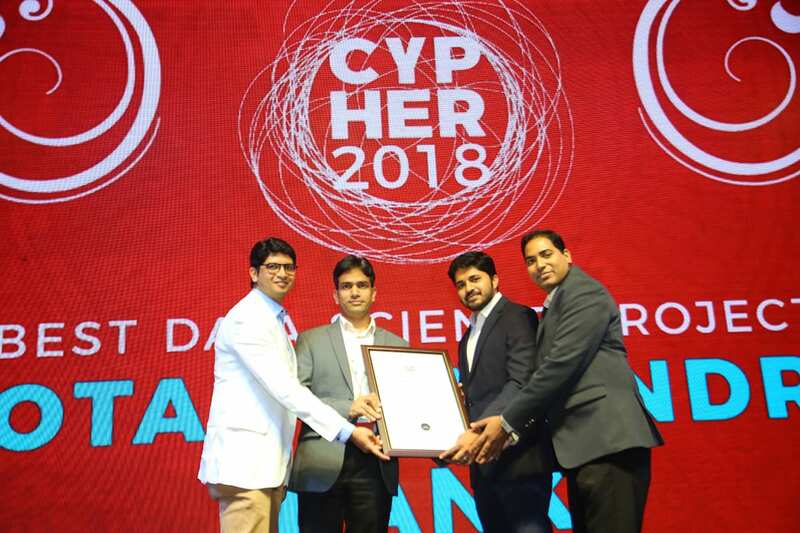 Their product mAdvisor is an AI and cognitive computing-based platform which helps enterprises translate data into meaningful insights and narratives without any manual intervention. Seven Lakes’ flagship product Joyn is an AI-based oil and gas production software fueling the modern pumper to reduce lease operating expenses and improve operational efficiency. It comes with an intuitive phone app and a web-based interface affording mobility in the oilfield. It captures 65+ reading types and has AI based analytics functionalities, helping Lease Operators increase productivity by at least 25%. TCS Optumera is the first-ever AI-powered conversational product for strategic decision making for companies. It considers thousands of factors which impact the business KPIs. It leverages conversational AI and visual alerts and dashboards to interact with users to enable them to make strategic decisions to drive sales, profitability and customer experience. The sophisticated AI-based algorithms enable actionable insights and help reduce the time to market for execution of strategies. 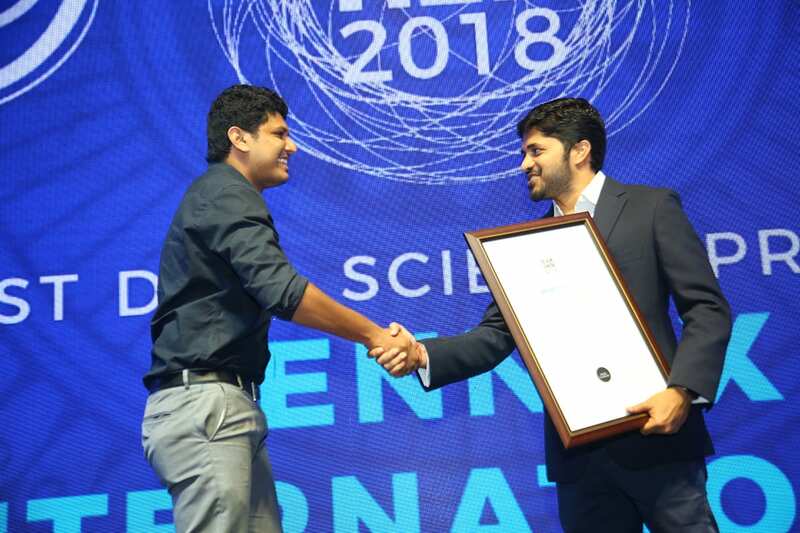 The best data science project award was swept away by seven key players in the industry. 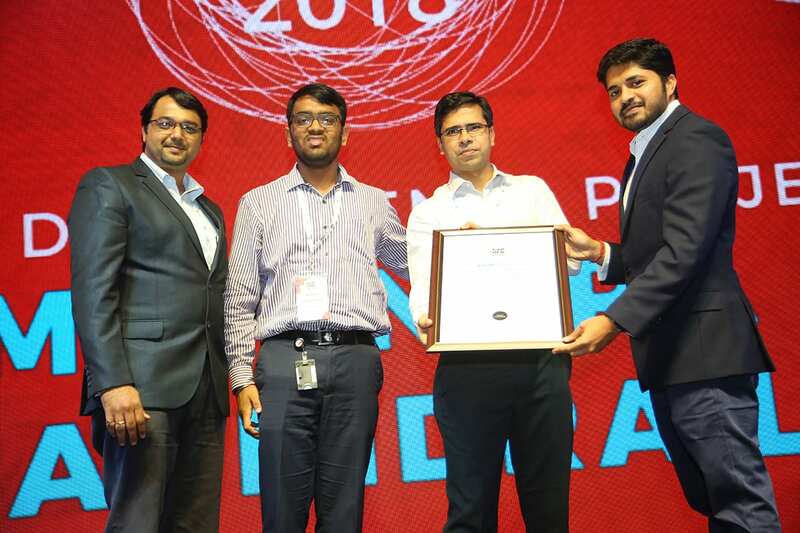 Mahindra and Mahindra Limited’s project on using analytics to determine the launch prices of theirSUVs won them a prize. The team built a strong analytical approach, aligned the required cross functional teams: IIC, Finance & Accounts, Marketing and Product Planning and picked up XUV5OO as the first pilot product. 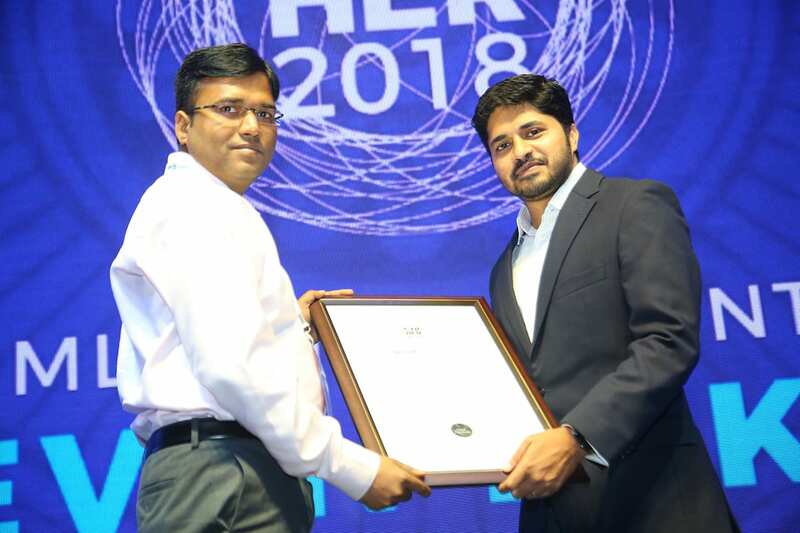 Max Life Insurance won the award for its project to solve the problem of increasing retention rates among policyholders. The team built an end-to-end integrated solution to classify customers, devise a retention calling strategy and track retention efforts with overall cost and renewal income monitoring. 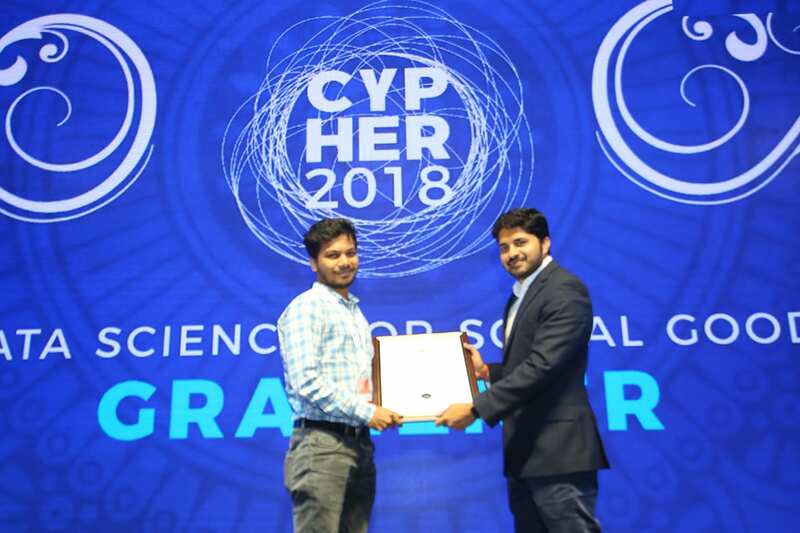 They used a combination of deep learning classification algorithms including feed forward neural network and long short-term memory algorithm for the same. 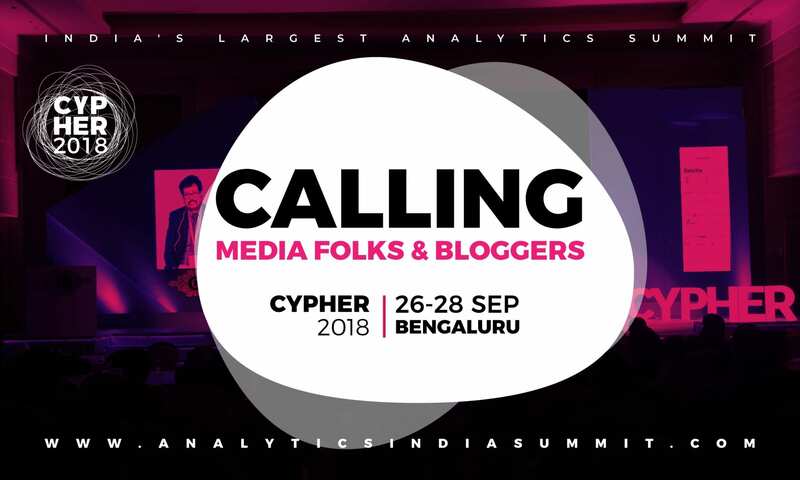 Team Computers’ analytics solution was deployed for Big Tree Entertainment (Bookmyshow) to improve the ROI for marketing. With more than 1,500 cinemas in 250+ locations in India and Team Computers worked with their Alteryx solution. The fourth winner in this category was Cartesian Consulting. Their Segment of One (SOO) solution enables hyper-personalised marketing and true 1:1 marketing through the right communication at the right time for the right individual. It comes armed with tools that enable governance, contact optimisation, personalisation, reporting, and learning. 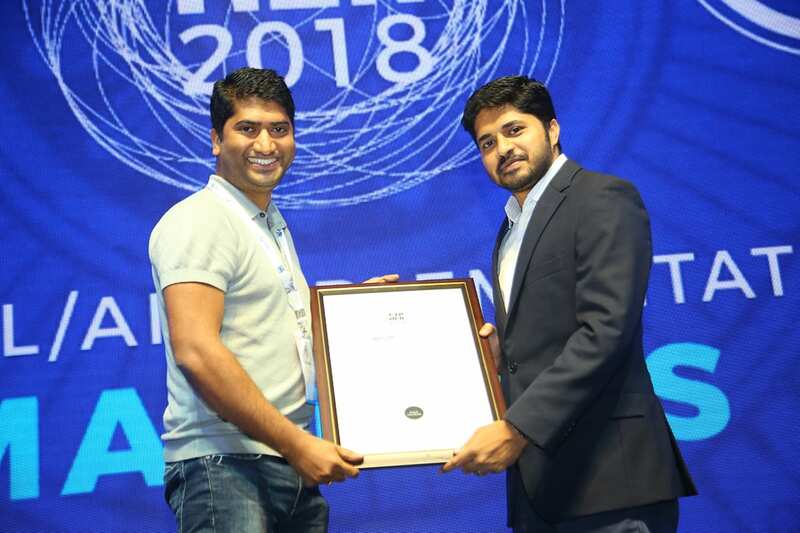 The SOO solution has been successfully able to reach out to millions of customers and has been successful in driving incremental customer response. Lennox International offer products in forecasting application that uses business drivers and macroeconomic variables such as Business Confidence Index, Composite Leading Indicator, Consumer Confidence, Manufacturing Index, Replacement Index and Unemployment Rate. Their recent data science project uses data science to precisely model the influence of these variables on the replacement sales and accurately predict the revenue given the change in the macroeconomic variables for Lennox International. 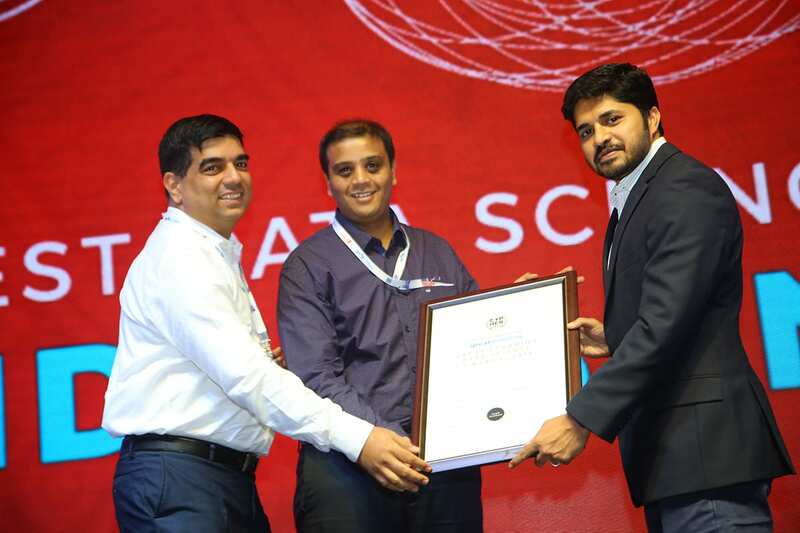 Kotak won the prize for their real time omnichannel recommendation engine for retail bank. They used the IBM Interact platform, recommendation engine and channel affinity models powered by machine learning. The recommendation engine uses machine learning algorithms to prioritise from over 35 products and over 20 services offered by the bank. In addition to the machine learning recommendation, the recommendation engine also uses unusual event based triggers and contextual inputs like clickstream. HDFC’s winning project revolves around predictive and contextual cash loan cross-selling. It is trigger-based and uses advanced machine learning for working.